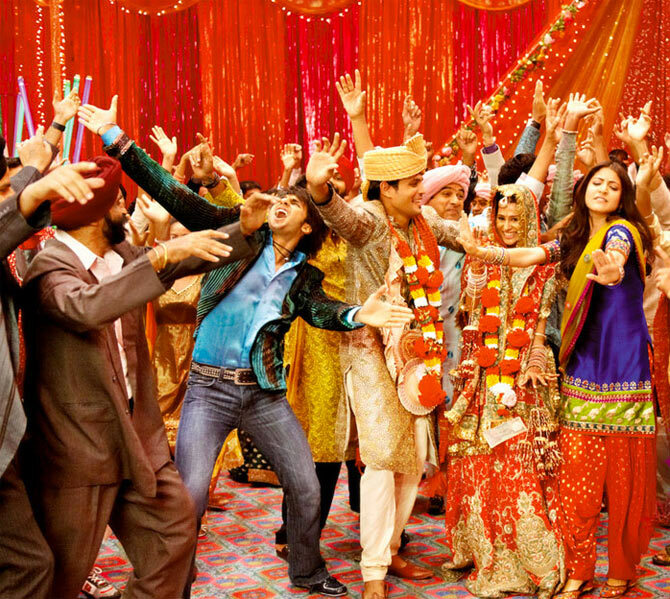 Rediff.com » Movies » Bollywood's Best Shaadi? VOTE! 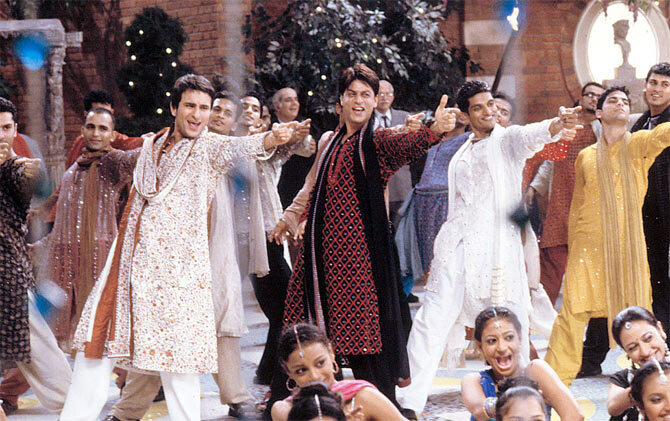 Pick YOUR favourite filmi shaadi! Bollywood prides itself on larger-than-life. No wonder big screen weddings are nothing short of a spectacle in our movies. Sparkling with tradition, grandeur and glamour, they've inspired many a viewers to tie the knot in a similar manner. Regardless of genre or logic, there's always room for a lavish wedding on celluloid. It's not merely a playground but often the entire premise of a script. Upcoming sequel to the 2011 romance comedy Tanu Weds Manu starring R Madhavan and Kangana Ranaut (in a double role) is a case in point. On that note, here's a list of Bollywood 10 MOST lavish weddings. Which wedding is YOUR favourite? Vote at the end! One that started it all! Sooraj R Barjatya's three hour-plus celebration marathon covers the entire paraphernalia associated with North Indian weddings. 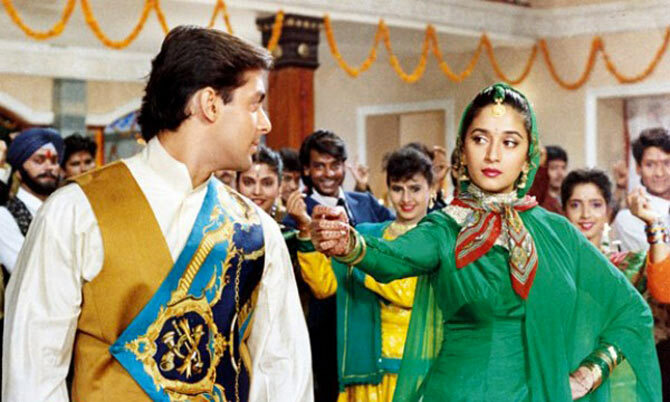 Right from sagaai to shaadi and haggling over the bridegroom's prized shoes between both the parties, Salman Khan and Madhuri Dixit, compete, collaborate and, ultimately, fall in love even as their respective siblings enter matrimony. Shah Rukh Khan goes through all kinds of troubles to win his ladylove's grumpy daddy in the second half of Aditya Chopra's immortal debut, Dilwale Dulhania Le Jayenge. Right from posing as the actual groom's friend to cosying with bride Kajol's near and dear ones during grand family functions -- engagement, karva chauth and, of course, mehendi. Trust Karan Johar to conduct things in style. For a sequence in his youthful Student of the Year, which marked the debut of Alia Bhatt, Varun Dhawan and Siddharth Malhotra, he flies all the way to Thailand showcasing the pomp and show of a classy destination wedding. While on the subject, India has its own share of opulence to offer. As seen in the case of Yeh Jawaani Hai Deewani, Kalki Koechlin's D-day plays out like a dream come true in Udaipur's exclusive Oberoi Udaivilas replete with fancy cocktail parties, glitzy sangeet and picture-perfect pheras. Sanjay Leela Bhansali and magnificence go hand in hand. His glossed up adaptation of the Sarat Chandra Chattopadhyay tragedy, Devdas is one heck of visual treat. Its over-the-top splendour, when Aishwarya Rai weds the much older Vijayendra Ghatge while a heartbroken Shah Rukh Khan looks on, completely eclipses the despair. One can always rely on Karan Johar to keep things breezy even in a film where its leading man is dying of a terminal ailment. Part of SRK's mission is to enrich Preity Zinta's life with romance and joy by playing cupid between her and Saif Ali Khan even though he's in love with PZ. 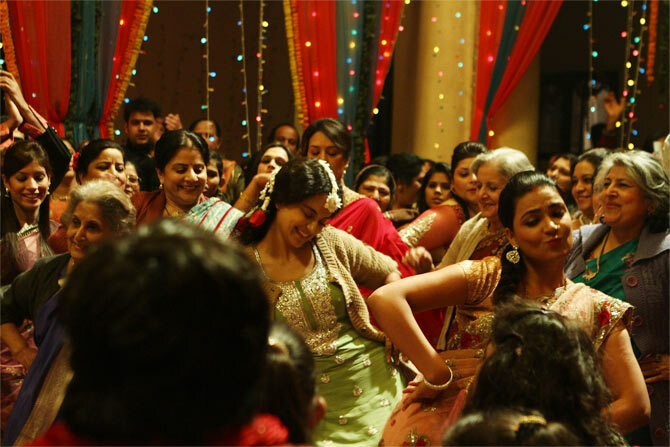 What follows is a gorgeous mix of Punju weds Gujju in a stylish NRI party with abundant song and dance. Given that the entire premise of Band Baaja Baaraat revolves around two wedding planners making it big, one sees the A to Z of shaadis. From modest but sweet to ostentatious and affluent, Ranveer Singh and Anushka Sharma steer us through it all. 2014's most-acclaimed movie, Queen makes a valid statement about the significance of marriage (or lack of it) through an inspiring Kangana Ranaut, who gets dumped at the altar by her spineless fiancé Rajkummar Rao. But before it gets to that, Queen demonstrates the sweet bonds and intimate interactions of a warm Delhi family through a delightful sangeet and mehendi ceremony. The world is obsessed with royal weddings. But few can match the splendour of the day Emperor Akbar made Rajputani Jodhaa his queen. 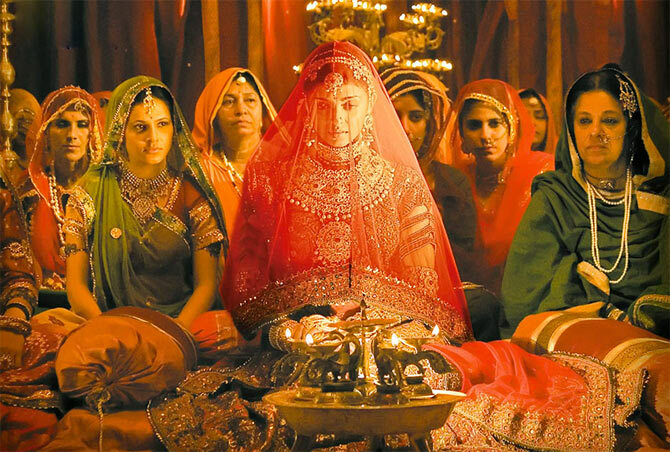 Director Ashutosh Gowariker pulls out all stops to create the aura of an imperial celebration around his beautiful actors -- Aishwarya Rai Bachchan and Hrithik Roshan -- decked in ornate fineries from head to toe. As the 'looteri dulhan' on the loose, Sonam Kapoor hoodwinks quite a few unsuspecting suitors and their families with her doe-eyed act but goes missing immediately after the wedding. Perfect opportunity for a cultural feast as Bollywood's resident fashionista parades in a variety of bridal avatars and colourful customs pertaining to different religions.